As you probably know, we have a contact tournament coming up VERY SOON. All the necessary details are on the IFK Australia newsletter, which you can read online on the IFK Australia website. 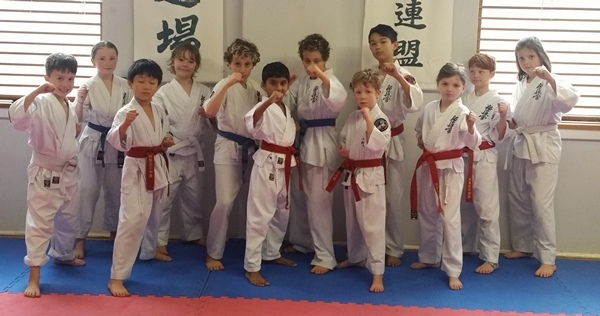 The juniors have been practicing their padded contact sparring, and you can see an example of this at the Kuro Obi Dojo instagram. You don't need an Instagram account to see it. There's something there for everyone, and we've been working towards competing at this event, so make sure you sign up for it. The grading was quite a big one, compared to recent ones, and here are all the results! Mitts, shin-insteps, groin guards, and mouthguards. For the tournament in particular, and in class in general, everyone should have protective equipment. These can be obtained from me but you have to let me know in advance because it takes a couple of days to obtain them if I don't have them in stock. I also have a limited number of sport bags to carry all your equipment, and winter hoodies (sizes 12, M, and XL) and IFKKA hats available for sale. 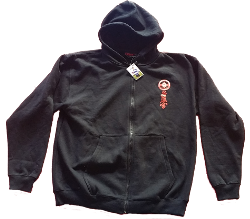 The hoodies in particular are just right for the winter now, and I'll throw in a Newtown Kyokushin t-shirt with the hoodies and bags. The hats are $15, and the hoodies and bags are $40 each.